Announcement: Picking Stuff Up and the RELEASE MARATHON. It has been over a month since my last post where I spoke of my current status, and explained why I was having hard time to find motivation to translate OSO. I'm not going to repeat myself and explain it again. I will start with the content of the announcement after a short explanation. So, about a week to ten days after the last post I made, I decided that "I might as well" try something else, and to ride the wave of my current light novel interest. Yes. I decided to pick up and translate Kenja no Deshi wo Nanoru Kenja and for last three weeks, with a break for work I continued to translate. And now, I have lots and lots of chapters to release. I'll say it again, I have LOTS OF CHAPTERS TO RELEASE. Without doubt this is the most of translation content I have ever accumulated at once. Which I will start releasing now. However, I will not release them all at once. This is where the release marathon from the post title comes into the play. I have the chapters ready, but they could use some more editing by me anyway, so I decided to release them one by one as I finish up edits. TLDR: they will be released hourly or something like that. Yup, hourly releases, yaay. Edit: this is more work than I thought, it might not be hourly :|. Still, there is enough of releases for days. And I need sleep, too. I will not put up links for the chapters in this post, it's a pain to put them up on the series page already - that is just how many of them there are. For the two last issues: I'm sure some of you might have hoped that if I pick Kenja up, I will continue from where other translators ended. NOPE. I'm not interested in continuing with someone else's content as basis. Still, I think you should not be disappointed even if you only want new content - I assure you that THERE IS new, yet-untranslated content within the chapters I did. And last, in regards to OSO. I'm not forgetting about it. In fact, my translation efforts on Kenja over the last three and a half week were not in vain. My overall translation motivation and rusty gears moved, and I do feel better about translating OSO than I did a month ago. With that said, I won't promise you a chapter right away. I will now end this lengthy post (I said I'll try to keep it short... or did I) with the link to Kenja no Deshi series page. You can also find it on the navigation menu. Volume 11Volume 1's link automatically updates itself as chapters are released: Prologue 1 2 3 4 5 6 7 82Updated with missing illustration 9 10 11 12 13 14 15 16 17 18 19 20 21. Volume 23If you thought my translations stock will be over with volume 1, then you were wrong. : 1 2 3 4 5 6 7 8 9 10 11 12 13 14 15 16 17 18 19 20 21 EX Afterword. PS: I have been tweaking the site a lot today since it has been reeeeaaally out of date in many aspects, so if there are any problems - tell me. PS2: I will make a post once I finish dumping my accumulated translations. This entry was posted in Kenja, Others on 2019.01.20 by krytyk. I'm very concerned about whether or not to start reading this or if I should just wait to stack up chapters, haha. I prefer reading a novel all at once, but that's not going to happen here. But it'd be a waste to read it all when there's more chapters coming all the time and not THAT much out(well, 3 volumes are still quite a bit) because I tend to "drop" things to bulk up chapters and I never know when I end up coming back, it could be everything between 3 months and 3 years... Maybe I should just read it anyway because I've been wanting to read this for a very long time but the translation wasn't that good before and there wasn't many chapters out. You are the hero we need, but don't deserve. I been waiting for this novel to b picked up for so long. Hi krytyk, if you can please let me know when edits are done on vol 2, I'll make a PDF/EPUB for it. Honestly speaking, I don't know when it will be. From here on there will be plenty of people pointing out mistakes here and there all over. Just set some random date like, in a week or two. It should be done by then. I'll do that then, thanks. Link to Volume 2 chapter 15 from Kenja page is broken. instead of "krytykal.org/kenja/volume-2/c15/" that the chapter link in this post links to. Time to jump into this! Mind if I make a PDF/EPUB? YAY new stuff to read. I would have loved to see OSO, but I have to say I always welcome new lightnovels. I know how this will go for me: Read Kenja releases, switch back and reread OSO and get frustrated when I can't read more. Rinse and repeat. I would love to help, but my japanese proficiency is not doing well enough to efficiently translate anything. Thus I will cheer from the sides while still studying. Bad thing is getting new novels to read kills my graduation progress, since I can't stop reading. First of all, when the player died he received a penalty, he received a horrifying penalty of all items they had in their item box, making them impossible to fight any more. <- I'm pretty sure that that "penalty of all items" should be "penalty of losing all of the items". Thanks for your work, as always. Let me get my hopes up and believe that the reason you have explicitly indicated the parts on the series page is because you have 10 whole volumes worth of translations to feed us mortals. No, I haven't given up on my mortality yet. There's just a little more. So just superhuman, then. Well, it's still nice and a great gift worthy of this occasion. At this point it's just my hobby, I can't promise anything, but I don't intend on completely giving up on my hobbies any time soon. Wooo thanks I really liked this series as well. You do you and thank you for this delicious binge! And here I thought you'd gone and died for a few months longer. Cheers. So nice to see you pick up another series, so there goes another one on my reading list. I still waiting for more OSO but new content is always welcome. Thank you, thank you very much for picking this. I've been waiting for a long time for someone to translate the LN since onichanyamete's preview of a prologue. Wow, this was one of my favorite novel, thanks for picking it up! I had thoughts about picking this up myself, but since I don't have background in Japanese, I need to find myself a Chinese raw, which is hard to come by. Wow, just yesterday I finished reading the the fully PDF of volume 1 by Hot Cocoa Scans that had been translated before and was depressed at the thought that no one else had picked it up or continued on the LN version for like 3 years and then I saw this post on Novel Updates today. Hopefully soon I can pick back up where I left off. Sooner than you think I assume. PS: I recommend rereading instead of starting from where you finished. Things can be vastly different. Yeah, i'll skim thru the newly translated ones. I've read the manga too and found that manga skips a ton of stuff and leaves you kind of confused on how things happen. I believe that what you call "Arc-Ars Online" is actually "Arch-Earth Online". 'Arch' as in archpriest, archnemesis etc. Arch would have the meaning of "highest form/version of-", which makes sense if you ask me, especially if you combine it with 'Earth' right after. In layman terms it would be "Best-Earth Online". No. The name comes from Arc and Ars, the two continents that the game was played on. PS: this reminded me I intended to rename Arc-Ars to Ark-Ars. That makes a'lot of sense actually, I have been confused about the name for a while. Does that mean that "Arc Calender" and "Arcs Calender" <-(this one appears twice) in chapter two, should be "Ark(s) Calender" too? Yes. Thanks for reminding me. Haven't read anything yet, but it's supposed to be Calendar, right? Actually checked it just now, it's like it should be. I wonder where did he get the "calEnder'. So... I didn't actually copy-paste the Calendar part, and instead wrote it down by hand. And then I did a brain-fart and misspelled the word. Funny thing is, in another language I speak/write, the word is spelled 'kalender', which might have had an influence on that typo. Btw, still regarding the Arc to Ark thing, it would seem that the prologue didn't get the "Arc-Ars" to "Ark-Ars" treatment yet. Alright, this is the last one for real. (I used ctrl+f and wrote 'arc' to make sure). There is one remaining Arcs Calendar in chapter 2, which should be Arks Calendar. Oh yeah, and this website is awesome. Even my slow lap-top only takes a moment to refresh a page, it's a miracle. No problem, this helps, if anything. 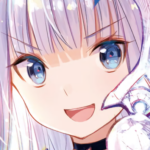 I've been meaning to continue reading Kenja, but I can't remember where I left off so I think starting from the beginning is a good idea. This is a great birthday present for me XD. Sir, a big THANK YOU for picking this LN. I already read the WN (what is translated so far) and really liked it. Ah..kenja it's really been a while since i read this one i almost forget about this one...i guess i going to wait it to binge it.. Thanks a lot dude to pick this one.. Danbulf?? isnt it Dunbalf since Dumbledore + Gandalf?? Been thinking of options, decided to go with the Japanese one. His name is based off Dumbledore and Gandalf's, but it doesn't have to be the simple combination. Danbulf, which is how original Japanese pronunciation is spoken, fulfills the criteria. Meanwhile, Dunbalf is just a step away from DUMBalf. And if you look at dAnbulf, you can take the A from gAndalf and take the U in danbUlf from dUmbledore. Dumbalf is rather fitting at times. Keep it Danbulf though, Dumbalf should be reserved for when (s)he is being an idiot. Given that not even japanese people are good at back transcriptions and play it by ear, that's good enough and most likely a way many japanese people would write it in roman letters. Evidence of that lack of skill are the words japanese people usually romanize as "tagger knife", "tarthatan", "danball" or "dunbox". The first one is just your plain old dagger (just a rendering of the word said with an accent, not the first time they voice or unvoice consonants during transcription), while the second one is the french apple pie calle "tarte Tatin" (basically same reading). The most baffling are the last two, given that both the "dan" and the "dun" are, in fact, the japanese word 段 ("dan", maining "step" or "stairs); the "ball" part it's technically "board" (from "cardboard"), and "danball" is in fact "dan (stepped=corrugated) [card]board", while "dunbox" ups it, as it comes from "danball box" (corrugated cardboard box, or just cardboard box) and yet they change the way to romanize the part that was originally in japanese. If they themselves don't really mind accuracy, trying to just avoid stupid-.looking spellings looks like a good rule of thumb. Well, at first I really tried to use "Dunbalf/Danbalf" but as I translated I just couldn't bear just how different the pronounciation between original Japanese and this version of the name was, too different. Imagine 5 years later anime appears and they pronounce it "Danbulf" instead of "Danbalf" - KRYTYK LIED TO US. Then again, I can't also get myself to use Dunbalf or Dunbulf, Dumbalf or Dumbulf because it sounds, well, DUMB (I hope you get what I mean). Thus I settled down on original Japanese version of the name. Which is ironically the most correct translation since we don't go liberal on names. Wow it's like all my namedays came at once or christmas came early this year, thank you so much. I'm so happy that you've decided to pick this up this novel has been one of my favorites since I read it almost 2 years ago and I was so disappointed the translator just up and disappeared I as on the verge of learning Japanese just to translate it myself, thank you again and please take care of your health! A-A quality release of Mira...? OMG, I'm sooo happy right now! I think the apple drink that you've called "Apple Ore" in chapter 3 is supposed to be "Apple au Lait" (apple with milk)? Like fruit milk? Really? I need to check on that one. Edit: Yeah, almost certainly it's that. Damn, it appears all over - even more to edit. This is different than what I read before. I think I like this one better. Glad to see you back? Thanks for picking this up Krytyk! Welcome back to translating Krytyk! I'm very happy to see you're working on Kenja. I really like the main character Mira and her exploration of the world she finds herself into. That and the amazing LN art by Fuji Choko. Anyway good to see you back. P.S: Sorry for the bad pun. I said that I feel my motivation for translating OSO improving, but it still has a way to go. I will try to ride on the wave of motivation brought by Kenja at some point to translate some more of it. I guess the other translators haven't touched this series on a while. I'm not really bothered about other translators. I was into it recently for an unexpected long time, and just felt like translating it. That's all. Is this a dream come true!!? Thank for your effort and the chapters in advance!!! Thank you, Translator. Very cool. Naisu!!!! Sage disciple and more.. Welcome Back and Happy NEW YEAR!!! nice, one of my favorite translator is back!!! Late Christmas gifts from Mr. Santa, but OK. I found this post through Novel Updates, and I am so glad that I did. Thank you for picking up this gem! I love this story and have been missing translations for it. You have no idea how happy this makes me. It's been ages since I've had my fix for Kenja content, since the only ones coming out are practically unreadable google translate copypastes. I've got no problems with rereading it from the start considering how top quality all of your stuff is. FYI the prologue link is sending me to the prologue for Antimagic, both the one on this page and the one on the series page. fixed. Chapter 1 up soonish. You read 56 chapters of web novel though. I should mention this: Volume 1 and 2 for example have a total of 44 chapters + Extra chapter. But in webnovel, chapter 36 is already Volume 3 content. TLDR: There is more content in light novel.